This cast polished chrome, fixed GU10 mains voltage downlight is economical to purchase, attractive and easy to install. 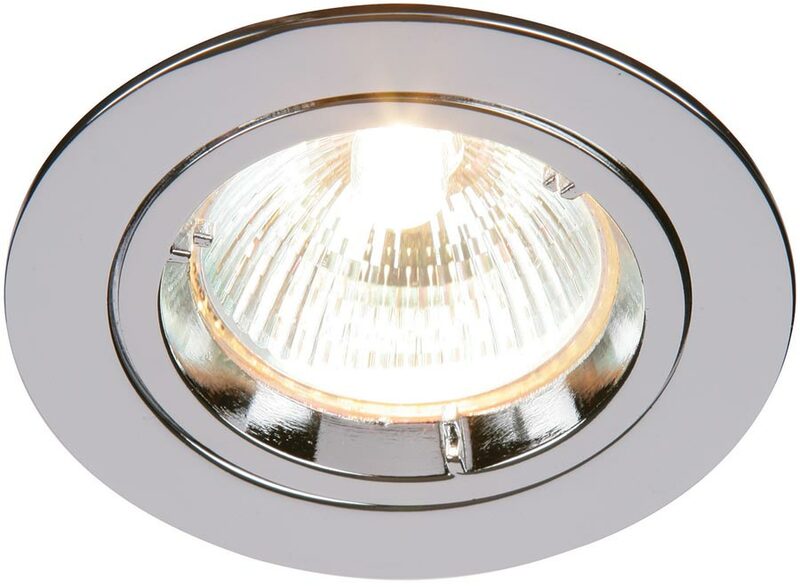 It features a front locking ring for easy lamp replacement. I have a fixed chrome downlight where the build got stuck and the fitting broke during bulb removal. I can get to the top and bottom of the unit but it won’t come up because of the ridge on the ceiling and it won’t go down. Is there an unscrew feature that I cannot see? Hello Harry, this downlight is fitted with spring clips either side. The clips are very strong but removal should not be difficult. Pull down on the fitting until there is a small gap and you should be able to see a spring clip either side. Push them inwards with your fingers and slide the fitting out. There are fitting instructions linked from the description that show the clips and how it is retained.